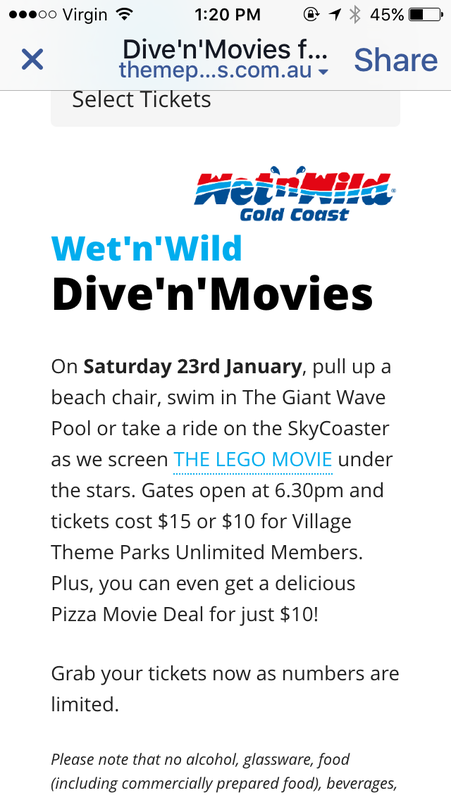 We're so excited to let you know that we're bringing back Dive'n'Movies for 1 night only on Saturday 23 January! Gates open at 6.30pm and tickets cost $15*. 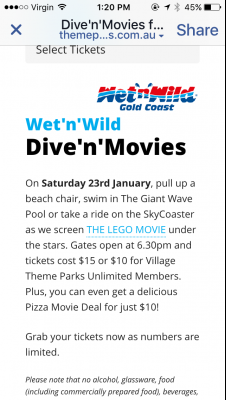 Pull up a beach chair or relax in the water as we screen THE LEGO MOVIE at The Giant Wave Pool. Grab your tickets now as numbers are limited. So what are we saying here... the park has all that technology sitting there 364 days a year wasting away doing nothing? or are we saying the park has at great expense brought in all new equipment just for one night? And are we really making a big noise about a film that came out almost 2 years ago? I'm glad to see that they've brought it back again (even though it is just for one night). But to me it seems like it's a bit of a waste of time. Why didn't they do it every Friday and Saturday night for January. Maybe they are just hiring equipment, or have they bought new equipment. This might be a trial it to see if it's popular, and they may then bring it back again next year. And since they removed the big screen, does that mean they'll just be installing a big sheet/screen for the night, or a new system. I really hope the slides are open as well but I can't see that happening.. Does that mean that the Skycoaster will be included in the $15 entry fee? i think it would have been good to at least have Mammoth Falls and the kids area open. So exiting. Get to watch a movie that came out 2 years ago. how can you exit from watching The Lego Movie??? ? i have a good reply to that, but first i'm going to watch the video. It's the correct attitude when your young one is always watching it. My wife just tells me to exit the house. just bring them back all the time already, I dont understand the one night only with an old movie. very strange. As someone already mentioned, this might just be a test to see whether people would be willing to pay additional admission for a separate ticketed event - like FN or WC - with the view to reinstating them as a separate event on a regular basis. So not only does the Sydney park get better summer trading hours they get a better deal with movies. They have "Cinema in the Sand" from 8pm on Friday/Saturday nights in January and it is free with park entry. The four movies they have remaining for this month are Step Up 5 (15th), Planes (16th), Blended (22nd) and Big Hero 6 (23rd). Have also seen Oddball and Minions mentioned as being shown. Depending on schedule I may stop in on the 23rd just to see how they have it setup. ...and then they bring it into WNWS? ^ Agreed, when the population is bigger and the park has grown, these sorts of things should be added, or kept or at least changed up to something new but park hours kept the same. Not being taken away and then bringing it back for one night and telling everyone how amazing it is and what a good thing they're doing for everyone. I love VRTP they build some great things, but also go and make some stupid decisions. Albeit they look at the bottom line in the short term and don't think it's stupid. It was good the wnw stayed open to 7 each night. They might be planning a trial (kind of late in the season though), but I heard from staff they are having an employee night this week. Staff and families can go see the Lego movie for free. Sounds like all the equipment had to be setup and installed again, most of it had been removed and wasn't just sitting idle. Did anyone go last night? If so, how busy was it and did they still provide rubber rings for the wave pool? No tubes this time around. Here's some shots from last night. It was lovely to see a return of this old Wet 'n' Wild staple. 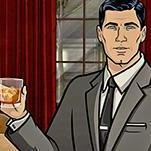 I really, really hope it comes back more regularly. Given how cheap it was, it'd be a sweet way for marketing to upsell VIP passes throughout the year i.e. buy the premium pass, get 4 Dive'n'Movie passes free. Highlight of the night was seeing a guest give a pizza to a team member for their hard work and just seeing that big screen make a glorious return. How does the screen look with the bright lights over the wave pool? 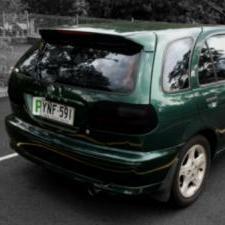 Is the picture affected at all? 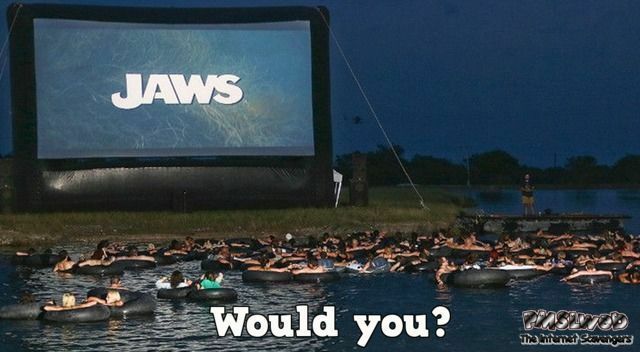 Granted I've never been to dive'n'movies.